With the summer vacation already set in and the heat of the hottest months of June-August making its effects felt, many form the plains moves up country to many cooler travel destinations of Pakistan. 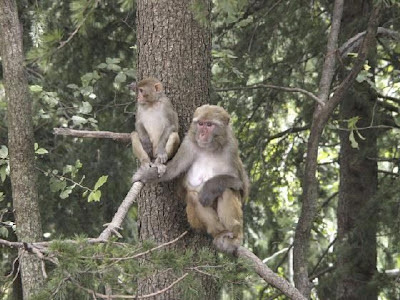 Generally, Murree is the most attractive place for all and sundry as it proivdes a shortest distance from Islamabad to reach the hill station. But Murree during summers gets overcrowded and noisy. It is OK for those who like the noisy thrill, the hussle and bustle and taking rounds of the lone Mall Road up and down many times a day. And when tired, one takes rest in many road side eatieries that provide sizziling hot foods and cold beverages. But for those seeking a peaceful place to rest and enjoy the tranquility of a hill station amid its cool breeze, one has to go a little distance ahead of Murree to Nathiagali. Nathiagali, part of the Kyhber Pakhtunkwa province of Pakistan, is a tourist haven, located 35 kilometres away from Murree and Abbotabad. It is almost equi distant from both these hill stations, or about two and a half hours' drive from Islamabad. 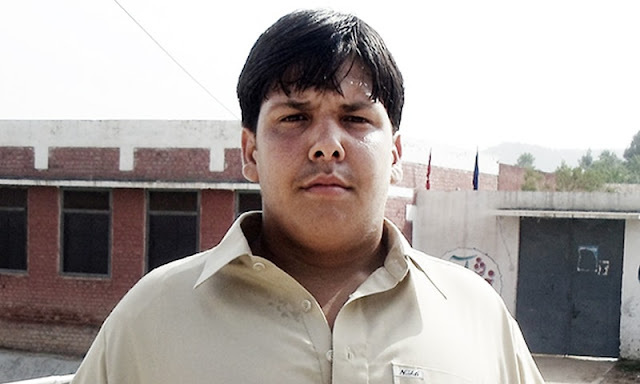 During the British Raj days, it served as the summer camp of the Peshawar Commissioner. 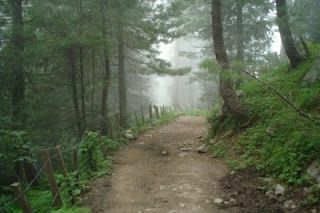 Nathiagali, located at 8,200 feet ot 2,500 meters, is famous fo its scenic beauty, tall Pine, walnut, Oak and Maple trees. En'route from Muree to Nathiagali, one comes across scores of monkeys thronging the road side, which are largely attracted by tourists, who stop and offer them eatles and have tem photographed with these native Dennises, the Menace. One should be careful not to go very close to these animals, as sometimes, these monkeys can really turn out to in menacing mood. There are many small to medium sizes motels and hotels located atop the hill. But during the peak tourist season, it is advisable to have advance booking ensured so as no to turn back having reached such a peaceful resting place. Once in the hotels and motels, tourists are advised to sun their bedding on arrival to get rid of bed-bugs, and take repellents and pesticides along to fight back insects as these have a tendency to show up a lot, especially in old homes, and in the monsoon season. 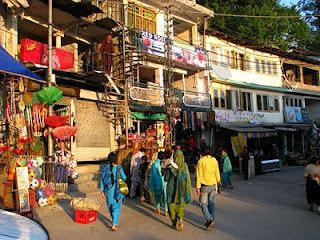 Nathiagali is a much smaller as compared to nearby Murree and Abbottabad. It has a small bazaar, but not compared to the underground bazaar of Murree, which generally thronged by ladies in search imported cloth. 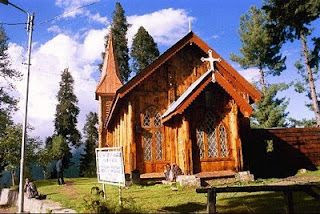 The St. Matthew's Church, entirely made of wood, is a tourist attraction - the church, a remnant of the bygone British Raj days, is located at the edge of the hill with a nice panorama towards Kashmir. On a clear day, the Nanga Parbat can been seen in the distance. There are many trekking sites available, specially the one that commences near the Governor's House and leads to the 2,90 metres high Miranjani Hill - it takes around 6-8 hours both ways. 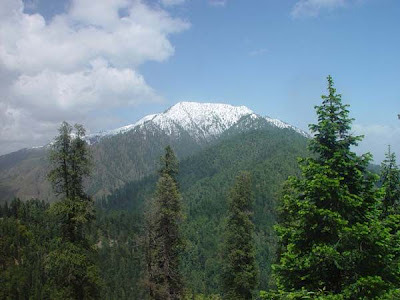 Miranjani is clad in Western Himalayan sub-alpine conifer forests, with Pine, Walnut, Oak, and Maple trees and shrubs and herbs. Or else, one can just stroll amid the tall pine forests on Nathiagali and collect pine cones as souvenirs for family and friends back home. Nathiagali wears a heavy winter cloak of snow in months from November to March and becomes a haven for the honey moon couples, who find the place solitary and just right for the nostalgic early days of marriage. If one is attempting Nathiagali during the peak snow season, one is advised to travel from Abbottabad to Nathiagali as the road between Murree-Nathiagali gets generally blocked due to heavy snowfall. So if you have plans this summer to move up north, do include a stay at Nathiagali - you will cherish it for many years to come.